Of the members of the Seven Little Fortunes Peking Opera troupe to become major figures in the Hong Kong film industry in the last 20 years before the colony’s handover to China, Corey Yuen is the least well known. Unlike Jackie Chan, Sammo Hung and Yuen Biao, he stayed mostly behind the camera, though he does have some memorable supporting turns in a few films, most notably in the Yuen Biao vehicle Righting Wrongs and as one of Hung’s Eastern Condors. He’s best known for his directorial work, on some of Jet Li’s best films (the Fong Sai-yuk series), on All for the Winner (the 1990 film that made Stephen Chow a superstar), and on the films that launched Jason Statham and Jean-Clude Van Damme into the action world (The Transporter and No Regret, No Surrender, respectively). With 1985’s Yes, Madam! 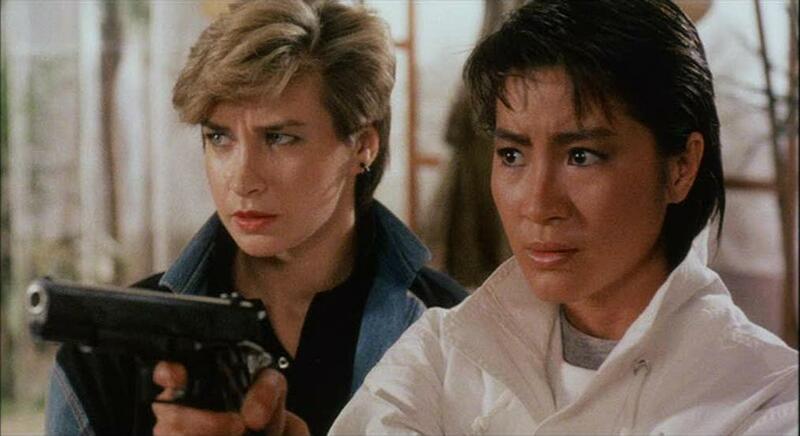 he launched two careers (Michelle Yeoh and Cynthia Rothrock) and a whole subgenre of the Hong Kong action cinema (the Girls with Guns cycle).